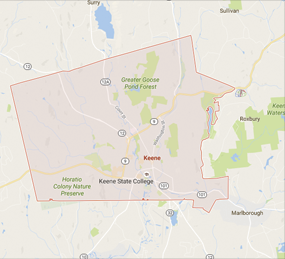 Mission - To provide the citizens of Keene with quality community services and amenities including a park and cemetery system, balanced environmental stewardship and diverse programming to inspire and support active lifestyles for all ages. Saturday and Sunday open gym from 12:00-4:00 PM. Looking for your company to sponsor a youth program or wanting to hang up a company sign in our parks? Please call our office if you have any questions. Have an issue to report regarding streets, sidewalks, potholes, trees etc.? Visit https://yourgov.cartegraph.com/ or download the YourGov app on your Apple or Android device to report your issue!